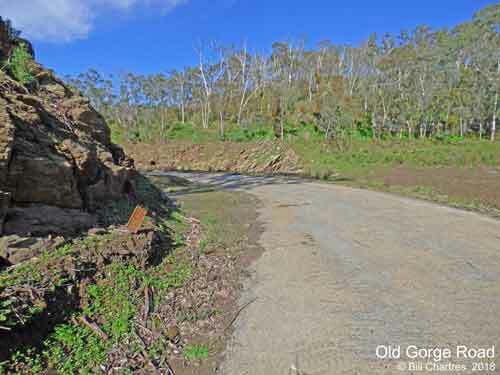 Old Gorge Road, Cudlee Creek, SA, Australia. 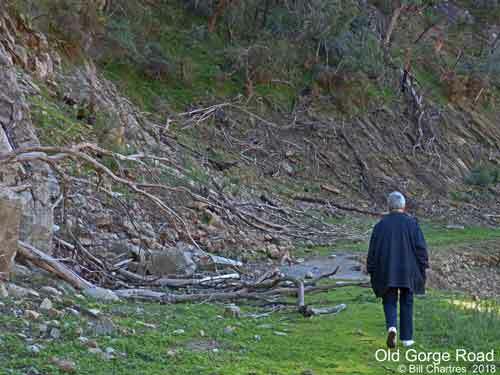 A walk along the old Gorge Road, Cudlee Creek, SA, Australia. 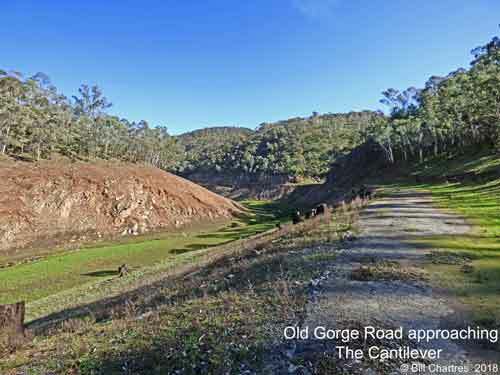 The Gorge Road construction began in 1912 - 1914 when the section from the Gorge Weir (near Athelstone) to Castambul was completed. 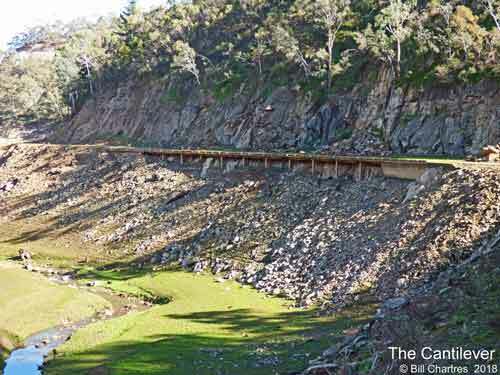 Later it was decided that the road be extend from Castambul to meet the North East Road at the Gumeracha Bridge, between Cudlee Creek and Gumeracha. 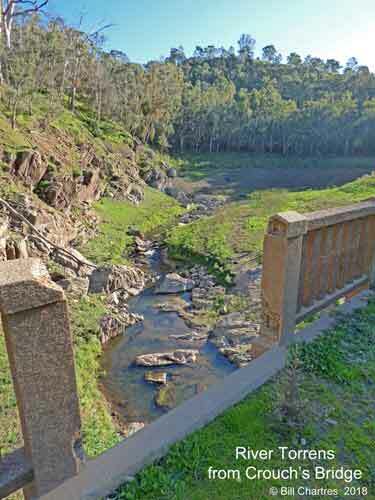 In 1916 it was proposed to build a dam at the junction of the River Torrens and the Kangaroo Creek, however this dam was never built despite the Gorge Road plan being realigned to allow for it, and the Castambul to the Gumeracha Bridge section was completed in 1924. 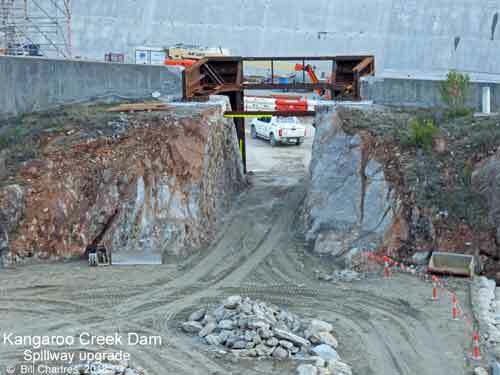 In 1962 a new submission was made to the Public Works Committee for a larger dam (Capacity: 24,400 megalitres) to be built at Kangaroo Creek which required a deviation of the Gorge Road, and the construction of two new bridges (Playford Bridge near Castambul and the New Prairie Bridge near Torrens Hill). 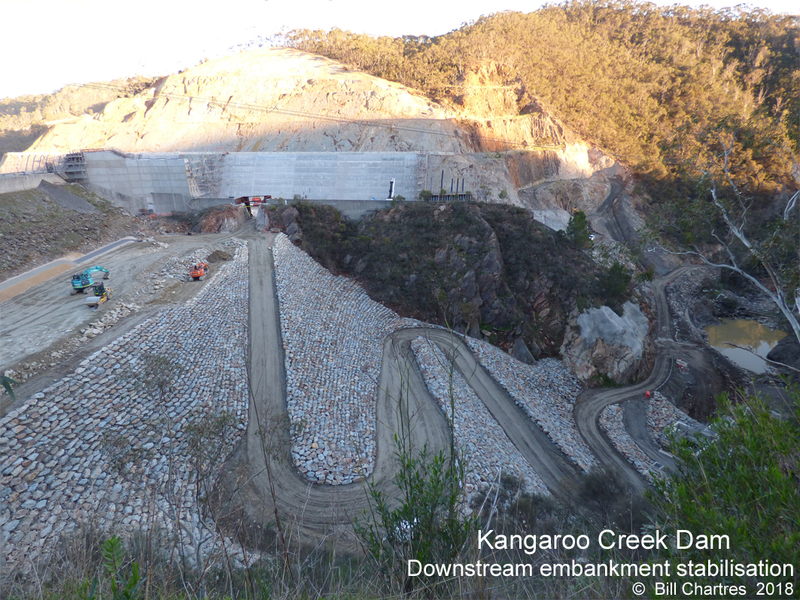 Construction of the Kangaroo Creek dam began in 1966 and was completed in 1969. 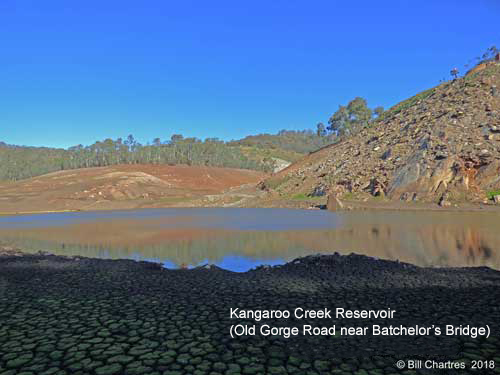 The Reservoir is a 24,400 megalitre artificial water storage facility in the Adelaide Hills, South Australia. 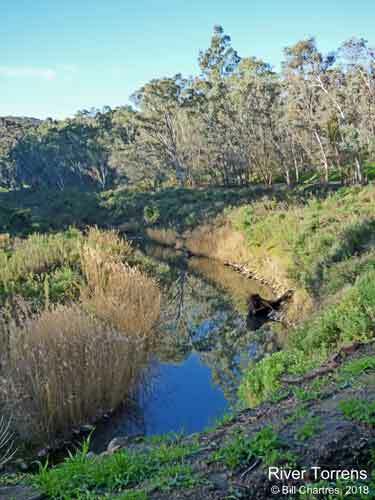 It was built by damming the River Torrens west of Cudlee Creek, near its junction with Kangaroo Creek (hence its name). 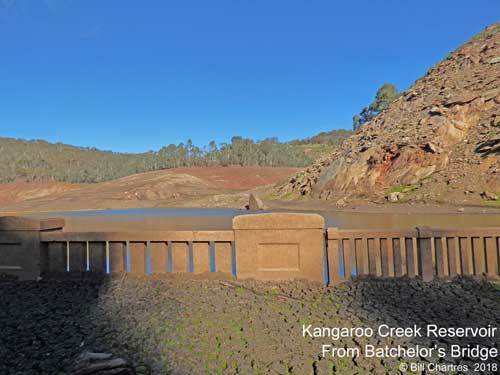 The water level of the Kangaroo Creek Reservoir can be topped up by water from the River Murray which is discharged from the Millbrook Reservoir into the River Torrens at Cudlee Creek. 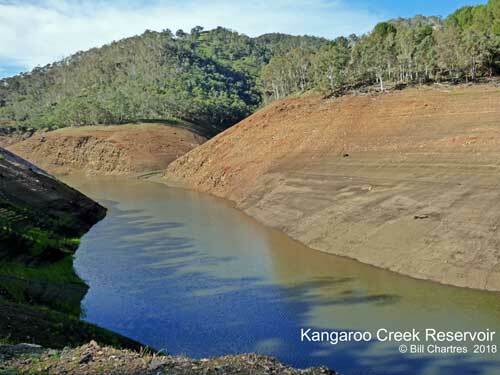 The purpose of Kangaroo Creek reservoir was to increase the storage capacity for River Torrens from 4,500 million gallons (20,457 ML) to approx. 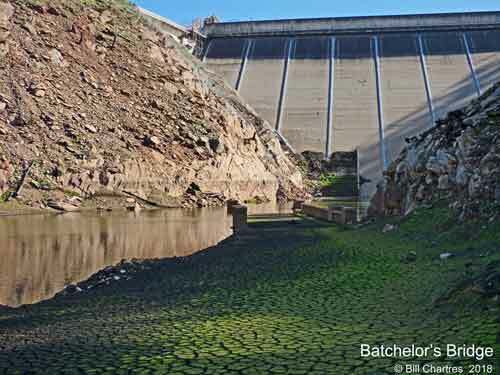 10,500 million gallons (47,734 ML). 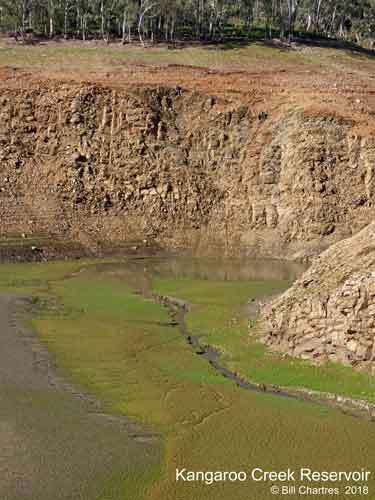 The reservoir area controls 112 sq. miles (290 sq. 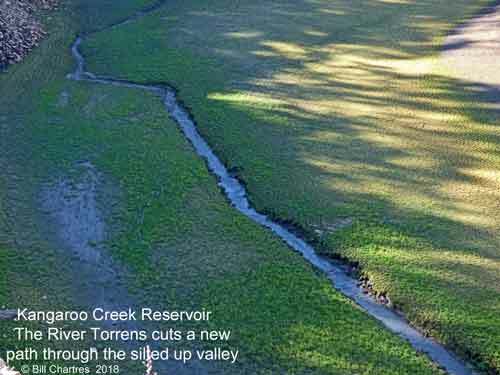 Km) of the River Torrens catchment (which also feeds the Millbrook Reservoir) and the area of water spread equals 103 hectares. 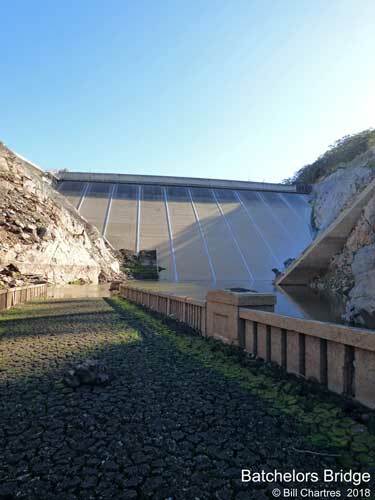 The reservoir was opened by The Hon. R. Steel Hall, M.P., Premier of South Australia, on Friday 5th December 1969. 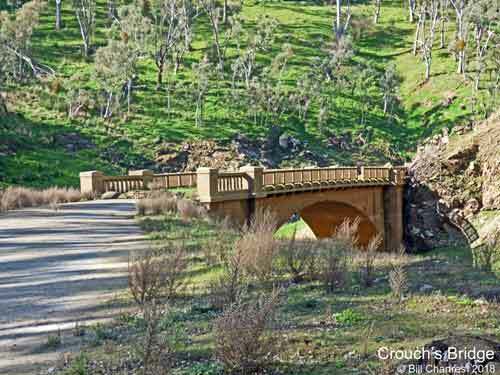 •	Batchelor's Bridge (located just behind the dam wall). 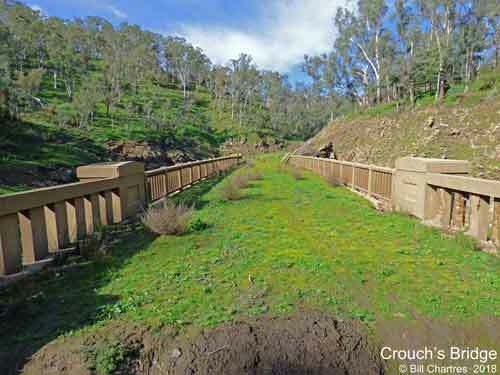 •	Crouch's Bridge (located further east, between the dam wall and Torrens Hill). 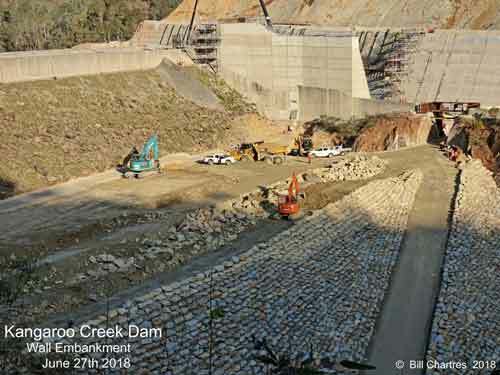 In 1982, following the River Torrens Flood Mitigation Study (EWS, 1980) report, the dam wall and spillway were modified to pass a flood with a return period of 50,000 years. 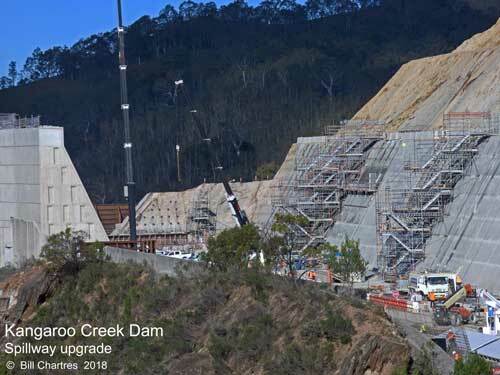 The modifications involved raising the height of the dam and the top of the spillway by 2.75 metres and inserting into the wall of the spillway two outlet ducts each 4 metres wide by 3 metres high. 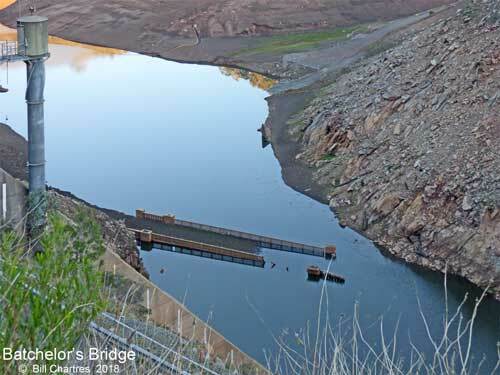 Although the height of the dam and spillway were raised, the ducts give a lower overflow level, and storage of the reservoir was reduced from 24,400 Ml to 19,160 Ml and the overflow frequency increased. 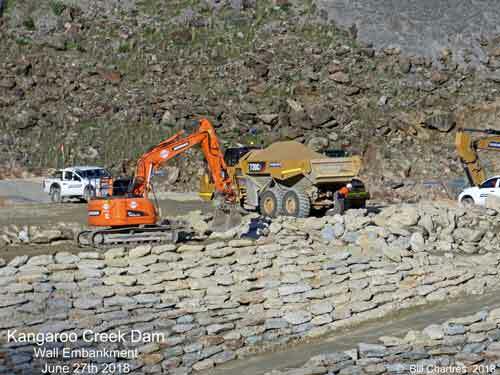 In 2015 work began on a further upgrade of the dam wall to ensure the dam complies with ANCOLD (Australian National Committee on Large Dams) standards. 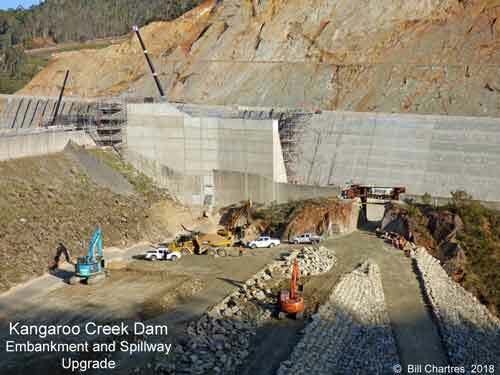 The upgrade will widen the spillway raise and strengthen the wall to help manage major floods and increase the dam's ability to withstand earthquakes, however it will not increase the dam’s capacity, as the spillway height will be unchanged. 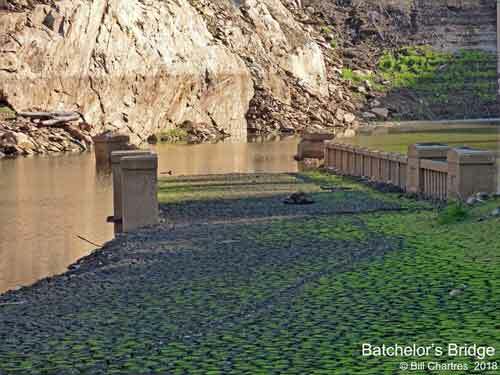 This work required the draining of the reservoir. 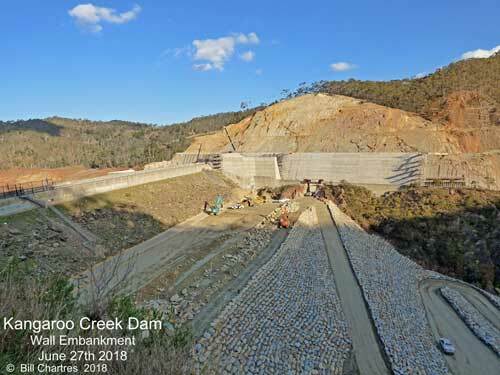 My wife, Peg, and I have many memories of the Gorge Road before the construction of the Kangaroo Creek Dam, which was completed in 1969. 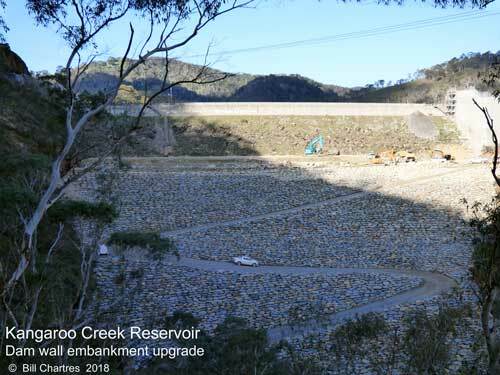 We have followed the upgrade of the dam wall with a great deal of interest and decided that we would inspect the old Gorge Road before the reservoir was filled again. 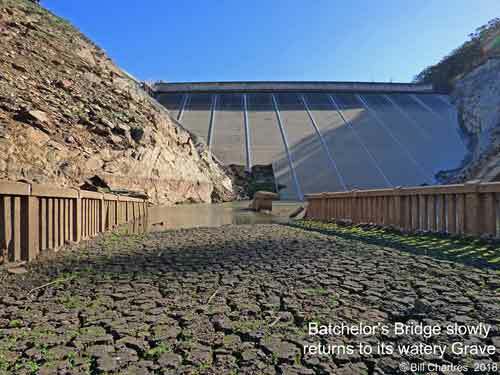 On 8th June 2018 SA Water announced that the major work on the upstream face of the wall was completed and the reservoir was would be allowed to refill and Batchelor’s Bridge (which is only seen if the water level drops below 2%) would soon be submerged once again. 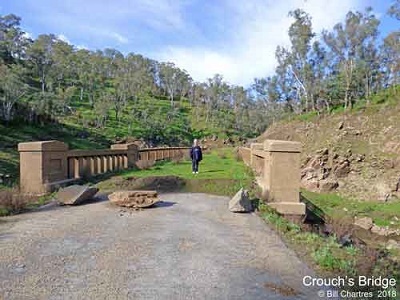 Later we noticed that the water level was almost up to the pavement of the bridge so we decided to walk the old road and see how far we could get. 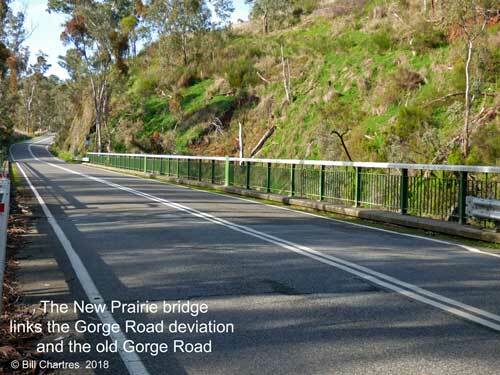 Our journey began at the junction of the old Gorge Road and the new deviation built when the dam was constructed, this is at the New Prairie Bridge. 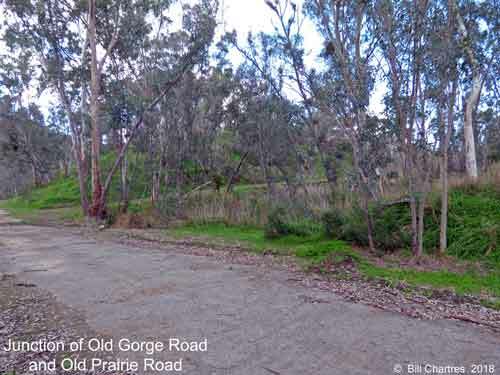 The old road was in good condition for this first section of our adventure, and it was an easy walk up to the site of the original Prairie Bridge, which was built in 1906, to provide access to Paracombe (via Torrens Hill – This track was known locally as “the Billy Goat Track” because of its steep grade and hair pin bends.) 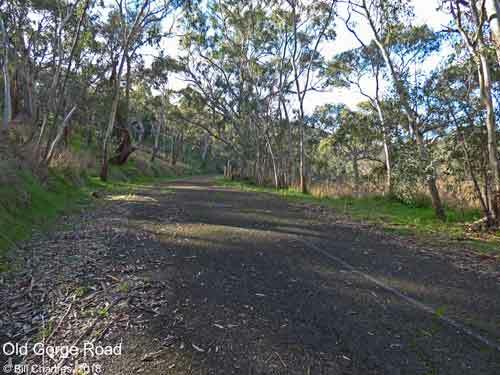 and the Anstey’s Hill Road. 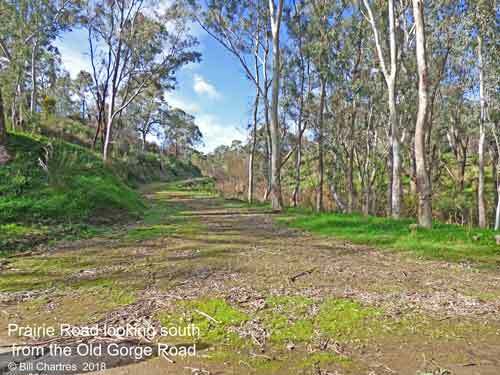 Near this point is the junction of the old Gorge Road and Prairie Road which was of interest to us both as we both used to travel this road from our early childhood until it was closed in the late 1960’s. 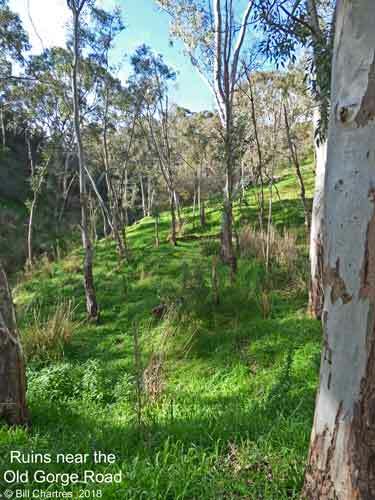 There is a great deal to see along this section, with the remains of an old hut and spectacular scenery. 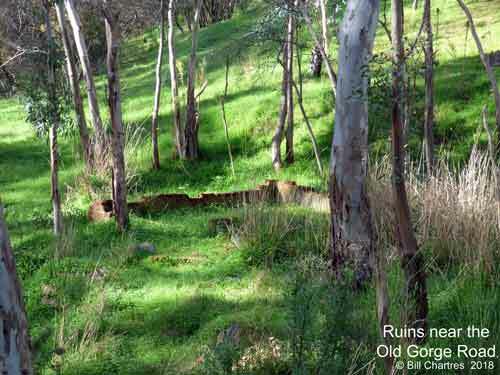 I believe that the ruins are of a stall that Robert Barty (from The Prairie) built soon after the opening of the Gorge Road in the 1920’s to sell his fruit, and that it was later converted in to a hut for residential purposes, at this time it had a reindeers head, with antlers, mounted above the door. 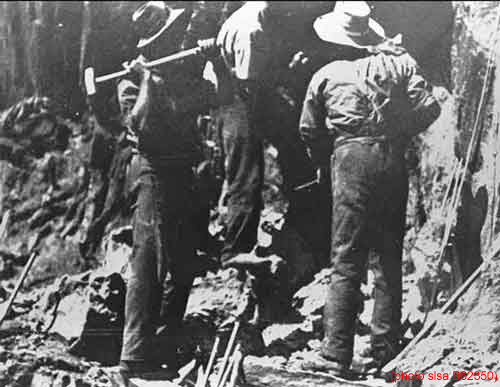 As we proceed down the road there are some fine examples of the work done by those working on the original road. 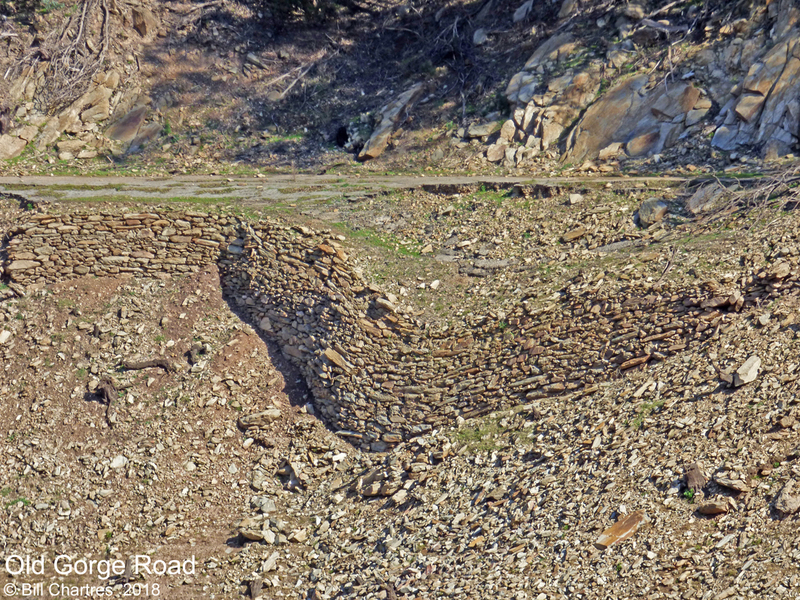 Dry stone walls were used to form the embankment, and they have withstood floods in times past as well as being submerged under the reservoir. 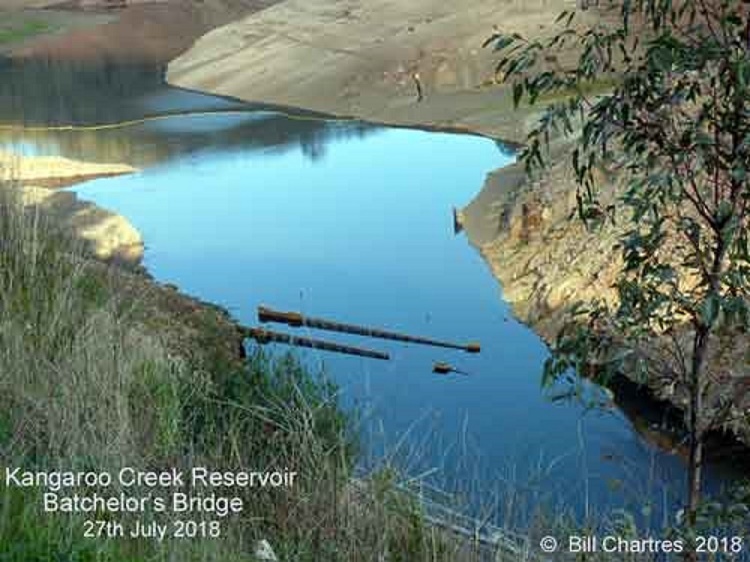 The old road appears to have been kept clear of silt and debris up to Crouch’s Bridge, which was built in 1921 and is often visible during periods of low water levels in the reservoir, it will probably be some time before it is completely covered again. 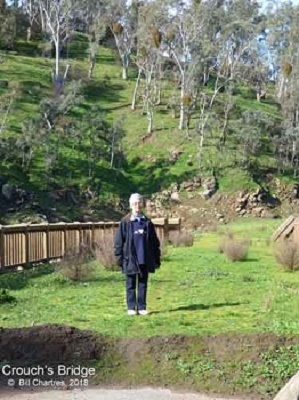 At this stage I had to take a photo of Peg standing on the exposed bridge as it bought back memories of when she was standing next to the Sunning Hill Bridge that was submerged by the Millbrook Reservoir (1952). 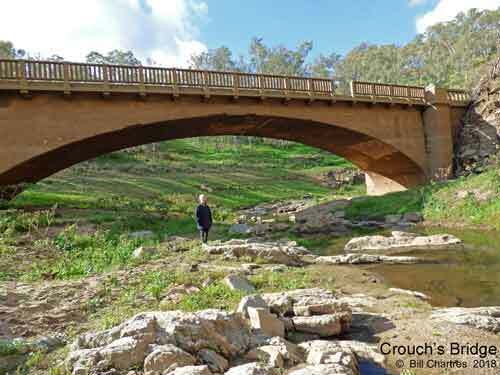 Once we left Crouch’s Bridge the next feature was The Cantilever, which is another example of the work that had to be done during the construction of the road. 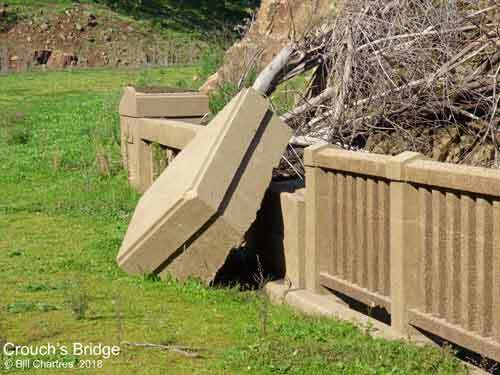 Remembering that the work was all done by hand, further evidence of the workmanship can be seen by the fact that, despite the embankment having slipped down from the roadway, the retaining dry stonewall has remained fairly well intact. 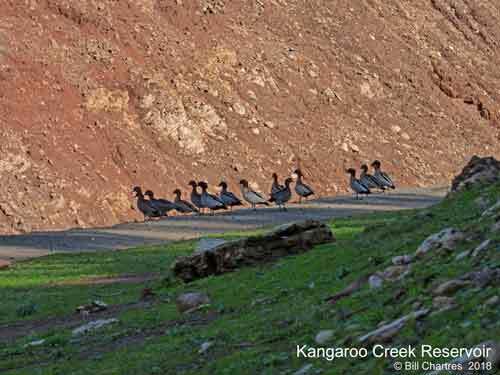 … even the ducks stop to look at it! 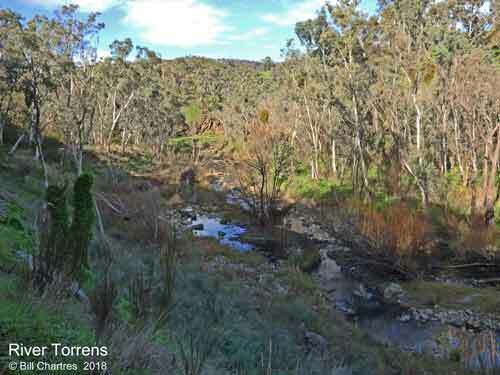 …and now that the River Torrens is slowly filling the reservoir, it is cutting a new path through the silt as it continues on its way towards the level of the reservoir. 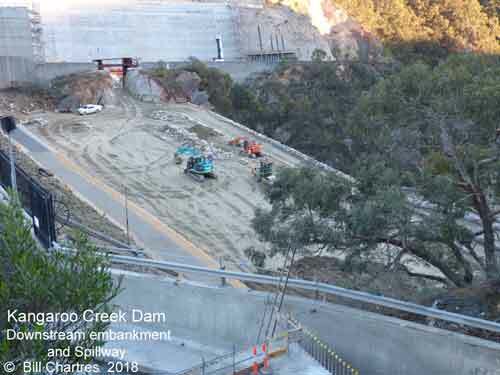 ...a little further on we get our first view of the Kangaroo Creek Dam wall. 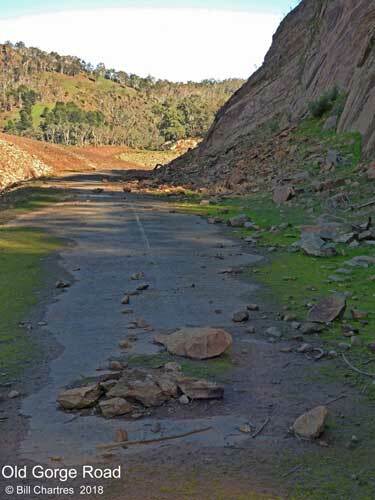 From this point on the track deteriorates, at first we were not sure if we should continue, but after coming this far Peg said that we would be silly not to go all the way. 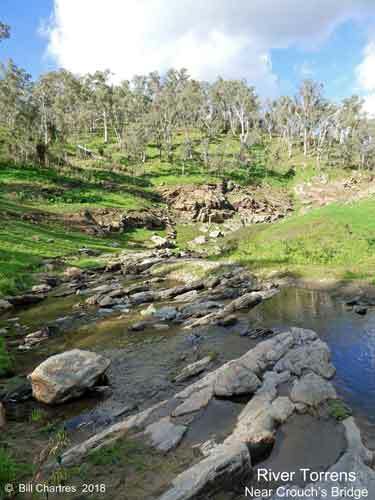 There was a small wash-away in the bank which was not easy for me to cross, as I am rather unstable on my feet, but, although it was a bit slippery, it was not too bad to negotiate. 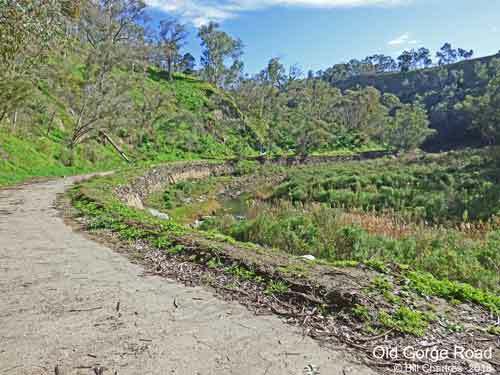 Then, once we were across, it was a fairly easy walk up to the bridge, although the silt was a little boggy in patches. 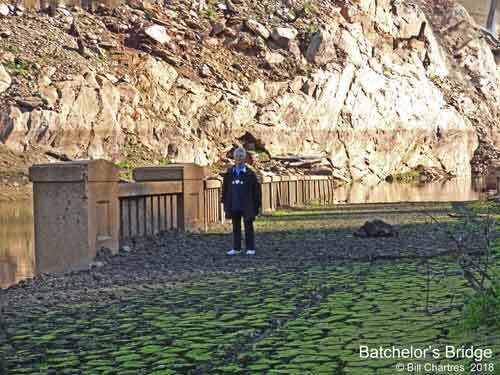 …so more photos of standing on a normally submerged bridge for both of us. 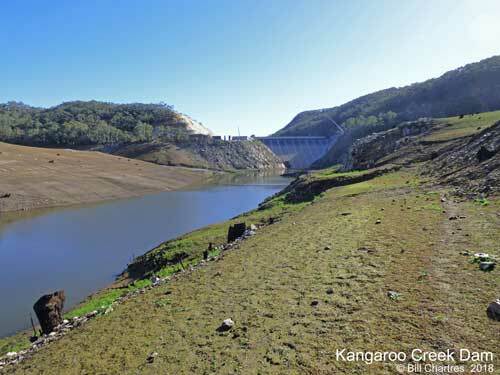 We realise that we were lucky that we did not put our walk off any longer as the water level was raising much quicker than I expected. 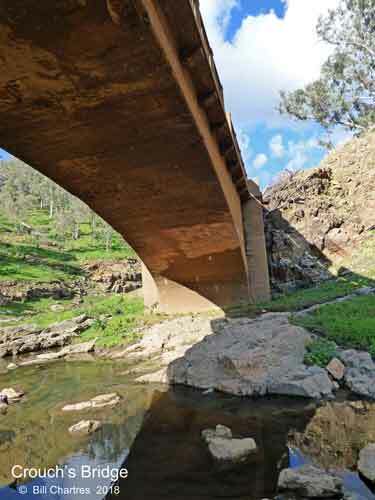 Actually I feel that this was an excellent time to get some photos, as the bridge was still exposed, but we could see the water encroaching upon it. 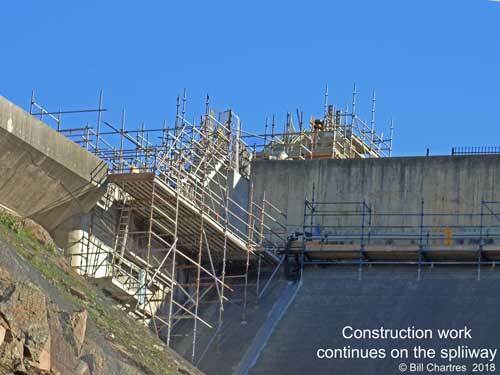 Work is still being carried out on the spillway and the embankment downstream from the dam wall. 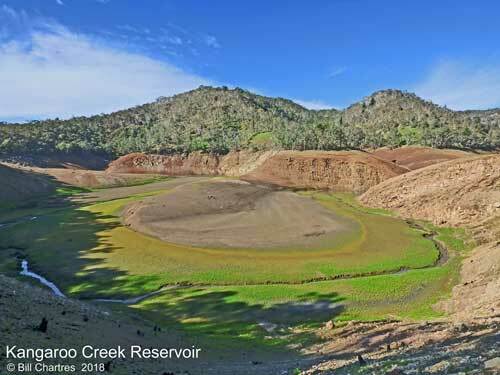 and we were not feeling as fit as we were in the beginning! 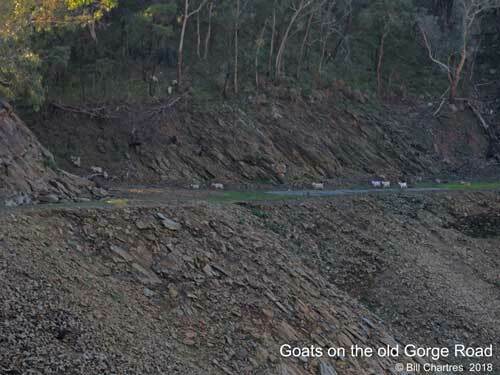 …well we thought that we did, but we did not expect to be confronted by a herd of goats. 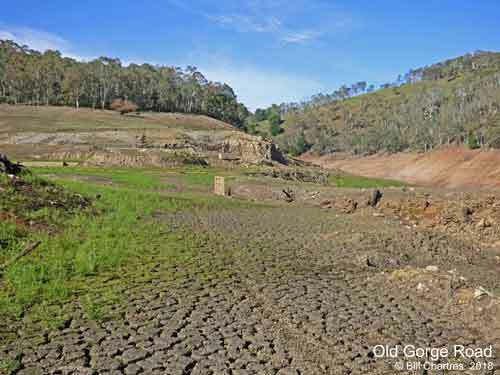 We had seen plenty on the other side of the river on the way down but none on the track. 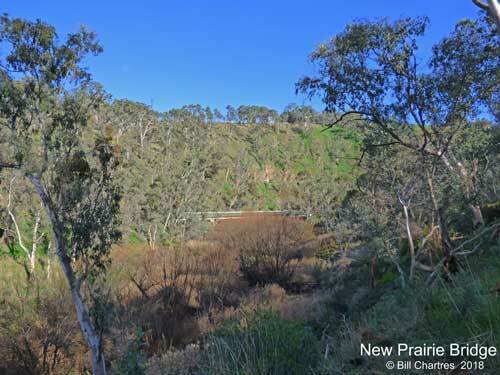 …and soon we had the welcome sight of the Prairie Bridge. 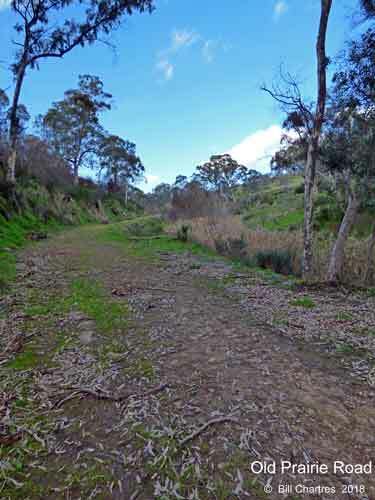 In total our walk took nearly 5 hours, we were tired but very pleased with what we had achieved. 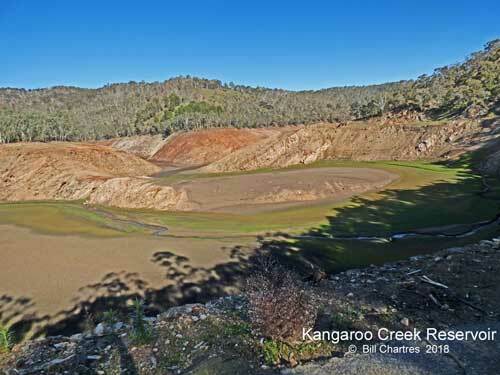 Before returning home we drove to the lookout on at the dam site, for a few more photos. 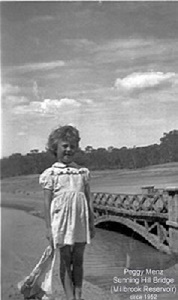 It was an excellent day that brought back many memories of long ago and will provide many for the future. 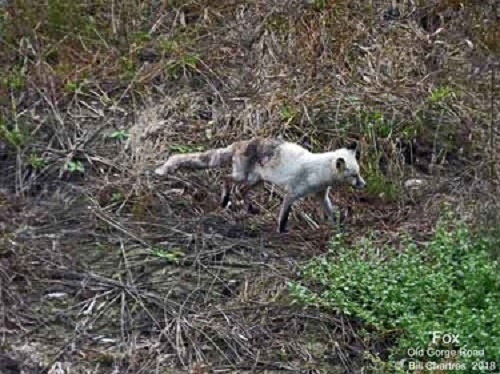 A week after we completed our walk to Batchelor’s Bridge we decided to return to Crouch’s Bridge and the old Prairie Road for some more photos, before we reached Crouch’s Bridge we saw two deer, which I was not able to photograph, and an unusual coloured fox. 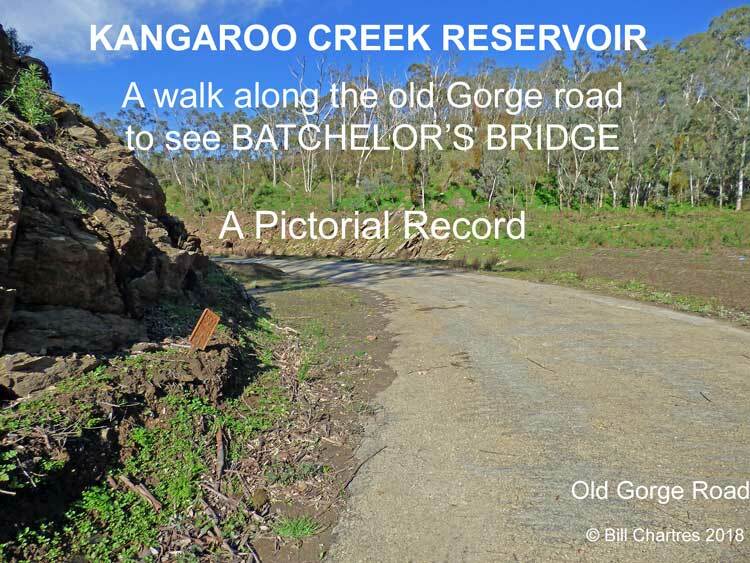 It was another great walk that brought back many memories of long ago and will provide many for the future. 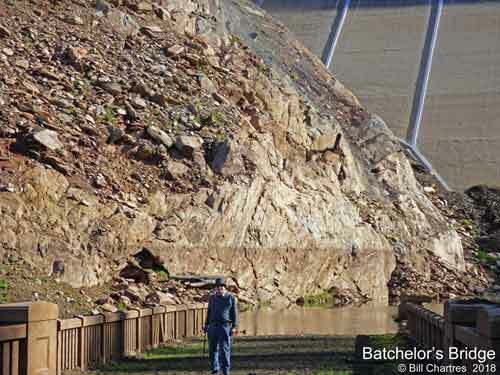 We then returned to the dam wall for some more pictures, and we were surprised how quickly Batchelor’s Bridge was being covered! 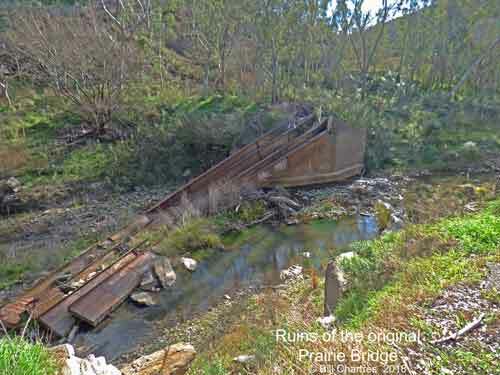 It will not be long before the Bridge is completely submerged, and possibly never seen again. 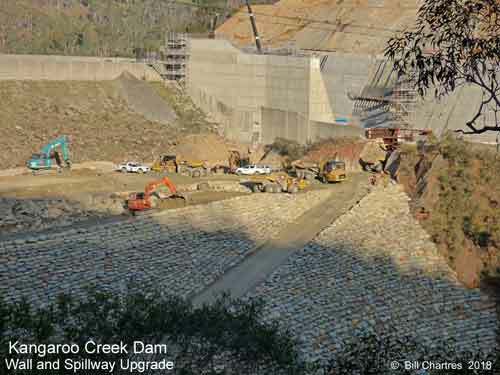 There is still a lot of work being carried out on the spillway and the downstream embankment of the dam wall. 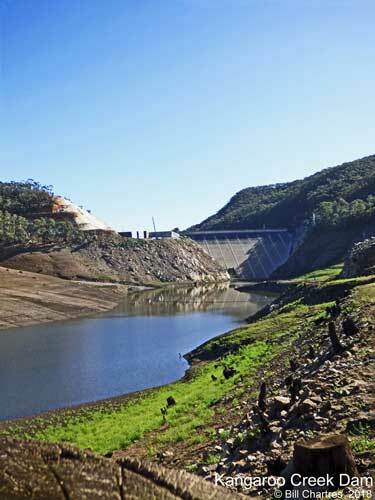 SA Water now estimates that the work will not be completed until November 2019.